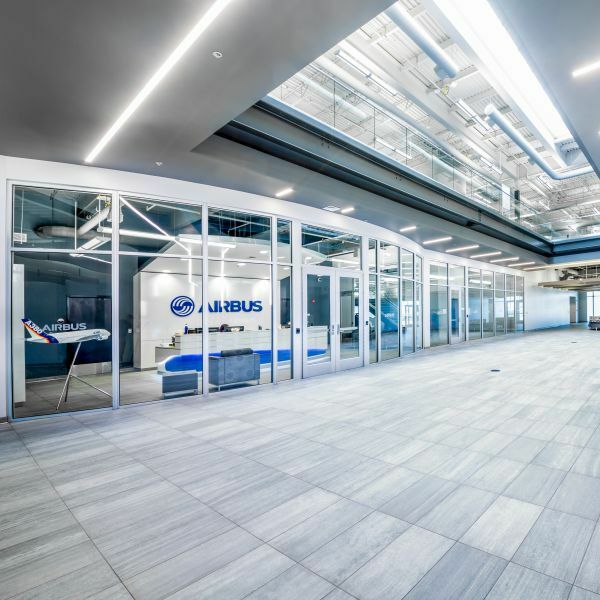 Airbus is the first of several new buildings on the East campus of Wichita State University that Needham DBS was chosen as the Structural design team member. Needham DBS worked with the contractor, Crossland and the architect, GLMV on this Design/Build concept. This two-story structure incorporates a center atrium providing an open building that is naturally illuminated. The partial basement below the core provides space for mechanical equipment along with safe space during inclement weather. Needham DBS created a 3D Revit structural model that provided integration during the design, detailing and construction process.